Ready to breathe some new life into your kitchen? You need New Jersey’s best Luxor kitchen installer to make your interior design dreams come alive. 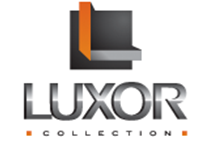 Luxor products offer top of the line kitchen design, from sleek minimal design schemes to ornate Old World kitchens. If you’re looking for an experienced kitchen installer for your latest renovation project, call us any time at All in One Kitchen Services. At All in One Kitchen Services, we proudly provide local New Jersey and NYC homeowners with gorgeous new kitchen cabinet installation, countertops, furniture, and more from Luxor luxurious line of kitchen design products. Need kitchen repair for Luxor products? At All in One Kitchen Services, we’ve got you covered with great kitchen repairs from our team of experienced contractors. From damaged countertops to faulty cabinet doors, we’ll have your kitchen looking just like new again, paying careful attention to the important details as we provide complete, effective repairs. Call us any time when you’re looking for a seasoned Luxor kitchen installer for kitchen repair service in Bergen County and beyond. At All in One Kitchen Services, we’re New Jersey’s premier Luxor kitchen installer for renovations, repair service, and more. From kitchen repairs for Luxor products to kitchen installation services for your next renovation product, our team of kitchen design experts are here to help you with all things Luxor. Call us any time at 201-731-5146 to find out more.